At our last meeting with George Washington, we witnessed the final hours of the ailing President's life. Today though, I am happy to mark a far happier event in that particular gentleman's life and one that marked on iconic moment. 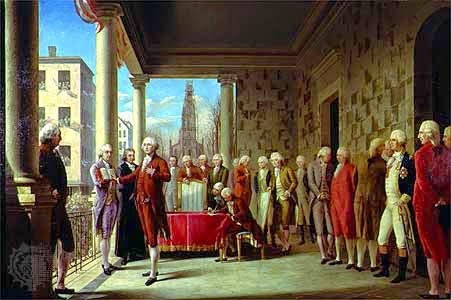 On 30th April 1789, George Washington attended Federal Hall in New York to be received by Robert Livington, the Chancellor of the State of New York. In the hours that followed, he was inaugurated as the first president in this history of America. As the day dawned an excited crowd began to amass in the city, keen to witness this historic event and whilst some went directly to Federal Hall, others lined the roads along the route Washington would take to reach his Wall Street destination. He had only been in New York a week, having travelled from Virginia and when he emerged from the house to meet his supporters, Washington was dressed in a dark brown suit of American cloth, with bright white stockings. 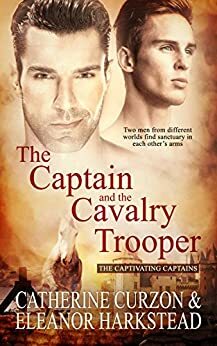 His shoes bore silver buckles and at his hip he wore a ceremonial sword. 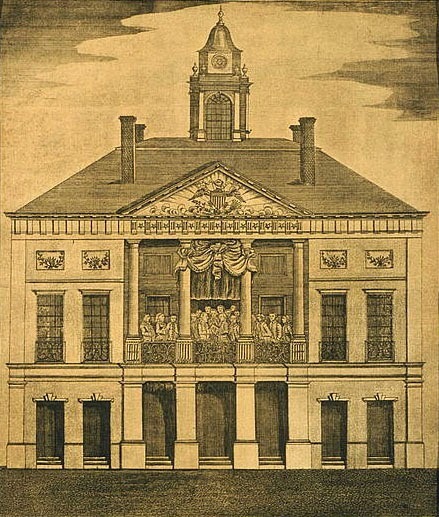 When he arrived at Federal Hall, Washington was taken first to the Senate chamber and then to the balcony where 10,000 people watched as Livingston swore in the new president. Using the bible from St. John's Masonic Lodge No.1, the solemn oath was undertaken by a clearly nervous Washington. Indeed, my colonial gentleman's people in the know say that you could fairly see his hands shaking as the ceremony progressed. As the military fired a 13 gun salute the crowd gave an uproarious cheer to welcome the new president into his now iconic office. We have met Captain James Cook here at the Guide before, when I told the story of his somewhat grisly Hawaiian end. Today we welcome the Captain back to the salon to commemorate his first landing at what came to be known as Botany Bay. 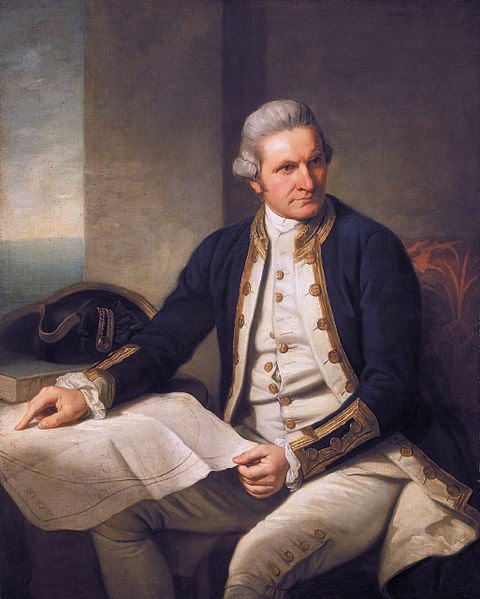 In 1770, though Cook's rank was that of lieutenant, he served as captain of HMS Endeavour, engaged in a mission to charter the coastline of southern Australia and observe the transit of Venus. 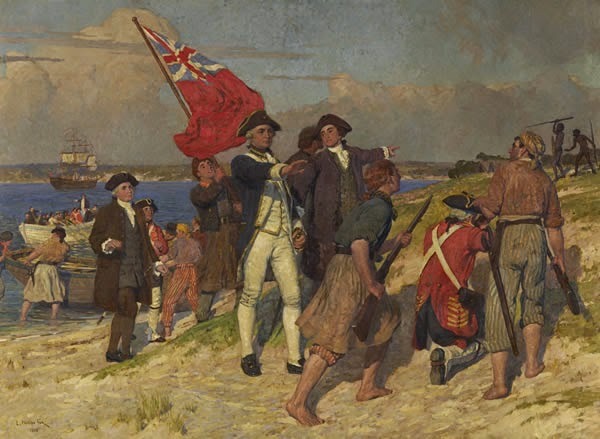 It was whilst undertaking these important tasks that Cook identified a place of safe anchorage in a natural bay located between what is now Cape Banks and Point Solander. With Cook keen to go ashore and discover more about this new territory, it was decided that the Endeavour would drop anchor so members of her crew could investigate further. The area was inhabited by the Gweagal, a tribe of Indigenous Australians. As the ship drew near, a few Gweagal warriors gathered on the rocks to watch its approach whilst the majority took shelter further inland. In fact there was to be no further action that day as the crew waited overnight and on 29th April 1770, a party from the ship went ashore. The contact between the Gweagal and the Europeans was understandably tense. When the local people remonstrated with the landing party, shots were fired by the British but there was no escalation in conflict. 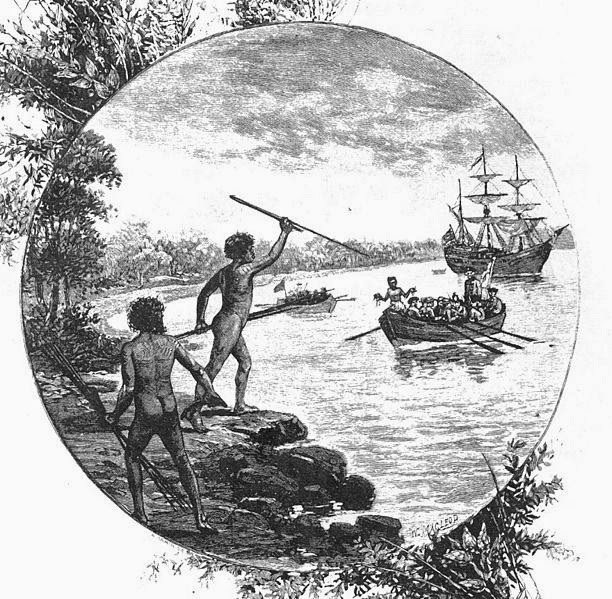 In fact, in the eight days that the British were on land, the Gweagal did their best to avoid their visitors. Though the men from the Endeavour attempted to make contact their efforts were in vain. Instead the local people went about their daily routines, all the while keeping a close eye on their visitors. As the Endeavour lay at anchor, the crew coined the name Stingrays Harbour, to reflect the large number of that fish in the bay. However, as Cook wrote in his own journal, so verdant were the flora of the region and so many specimens were available to the ship's botanists that he renamed the area Botanist's Bay, later amending this to Botany Bay. Eventually the Endeavour resumed its iconic voyage; four months later, Cook claimed his newly-chartered coastline as British territory and set sail for home. 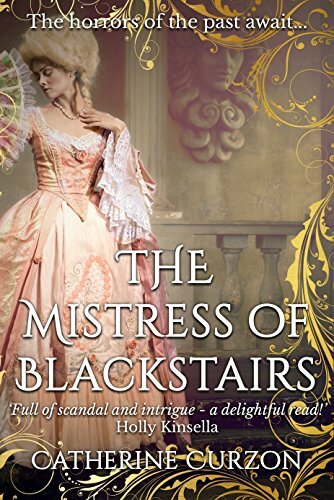 Hot on the heels of Maria Amalia's salon trip yesterday, I am pleased to welcome another lady of the Two Sicilies today in the well-dressed shape of Maria Christina. She was born the daughter of Francis I of the Two Sicilies and Maria Isabella, his second spouse. 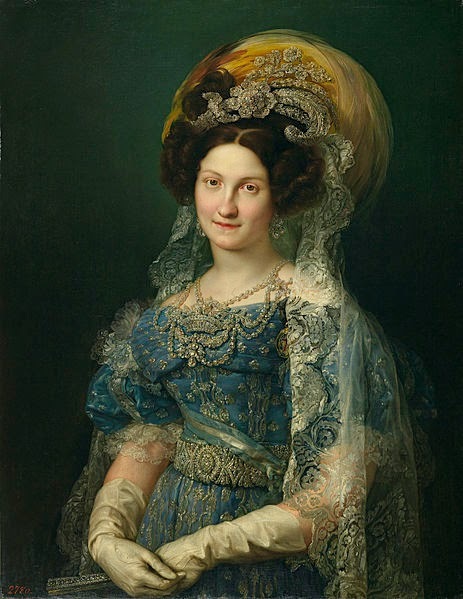 Like so many noble children the destiny of Maria Christina was shaped by family and when her mother's brother, King Ferdinand VII of Spain, found himself heirless and widowed for a third time in 1829, it was swiftly agreed that the young lady would make an excellent match for her uncle. The couple were wed on 11th December 1829 in Madrid; the thrice-widowed groom was 45 years old, his niece and bride just 23. 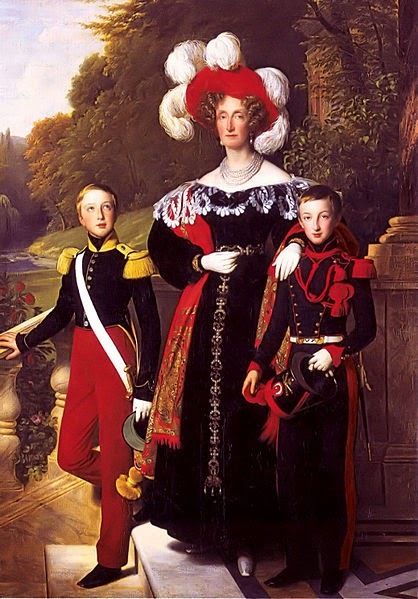 In fact, the quest for a male heir was to remain unfulfilled and by the time Ferdinand died in 1833, the couple had two young daughters but no son. With the three year old Isabella next in line to the throne thanks to a change in the laws of succession, Maria Christina took on the role of Regent. Whilst married to Ferdinand, Maria Christina encountered Agustín Fernando Muñoz; two years her junior and a Sergeant of the Royal Guard, Muñoz made quite an impact on the queen. Just three months after the death of her husband, Maria Christina and Muñoz were married in a secret ceremony. Together they had seven children, all of whom survived childhood. 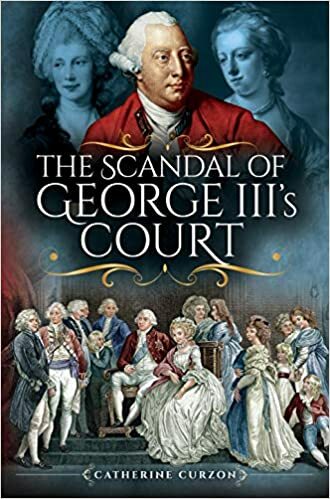 The couple knew that they must keep their marriage a secret if Maria Christina was to remain as Regent but their affair was public knowledge at court, even if their legal bond was not. 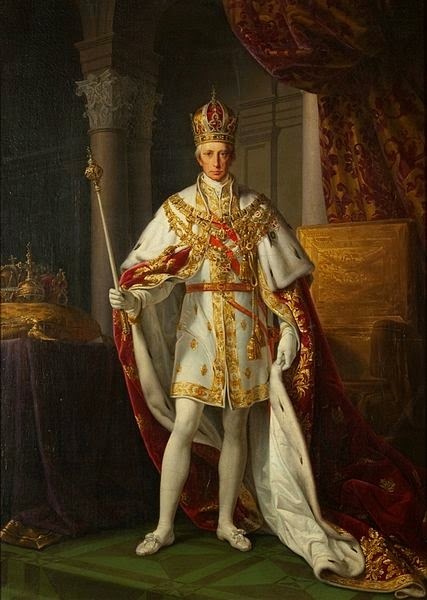 Maria Christina's regency was not without conflict and the late king's brother, Infante Carlos, Count of Molina, argued vociferously that the law naming Isabella as heir was actually illegal and that he was the rightful King of Spain. 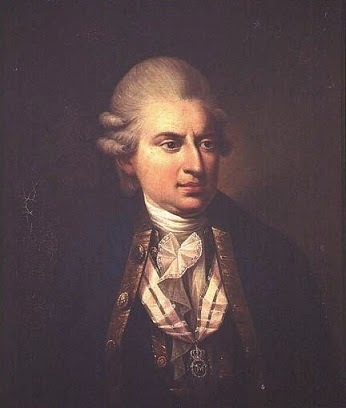 In addition, he claimed that Ferdinand had no wish to make his daughter queen and that Maria Christina had forged legal documents bearing her late husband's name in a quest to rob Carlos of his rightful claim to the throne. 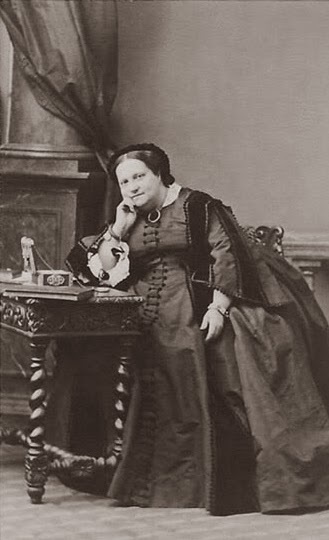 This was a family and political dispute that was not going to die a quiet death and when the Carlist Wars broke out, Maria Christina stood against Carlos and his demands for an absolute monarchy with himself at the helm. Despite strong support for Carlos from the traditionalist members of the ruling classes and the Catholic Church, the army came out in favour of Maria Christina and she successfully defended her daughter's claim to the throne. Eventually and inevitably, news of the secret marriage began to leak out and soon the scandal engulfed the court. Ministers and influential military leaders prevailed upon Maria Christina to step aside and in 1840 she and Muñoz went into exile in France, with the regency now assumed by General Baldomero Espartero, Count of Luchana. Here they remained until Queen Isabella II assumed the throne in 1844, at which point she swiftly gave her official blessing to her mother's marriage, granting permission for a public ceremony, as well as awarding Muñoz the title of Duke of Riánsares. 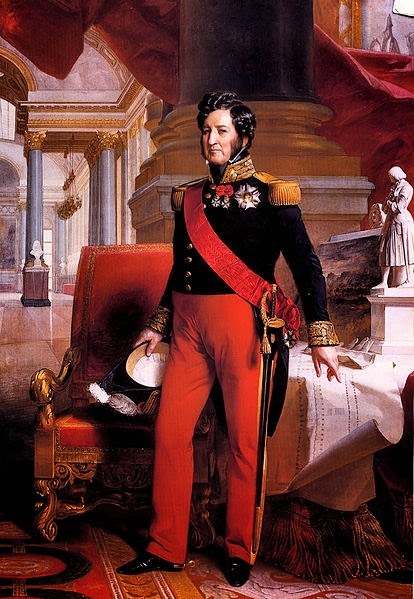 He would go on to be highly decorated in both Spain and France, where he and Maria Christina made their home. 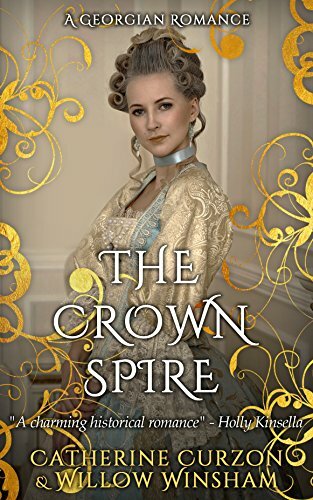 When the 1868 revolution swept Isabella from power, she joined her mother and stepfather in France. After the scandal of their early years, Maria Christina and Muñoz had settled into a devoted and happy retirement, living very well from the profits of the business interests of the well-liked Muñoz. 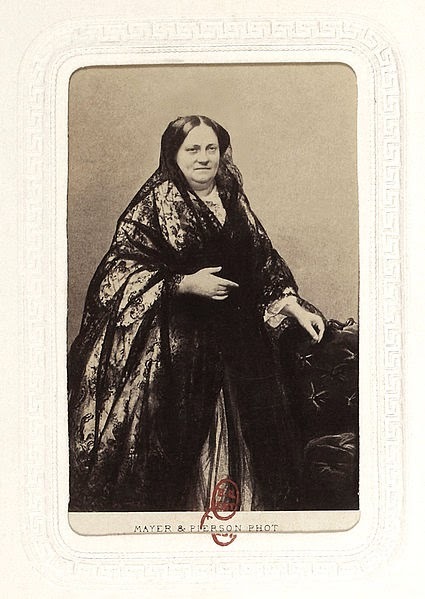 Maria Christina became a widow in 1873 and lived on in quiet retirement for five further years before she too passed away, her turbulent life finally at an end. On several occasions here at the Guide I have introduced daughters of the house of Hanover. Their lives were not always long and nor were they always happy, married off for political expediency or gain. Today's guest is Princess Mary, aunt to Queen Victoria and loyal sister to a number of our previous guests. Her life was longer than many of her siblings and though her marriage came relatively late in life, it proved to be a settled union. Mary was born to George III and Charlotte of Mecklenburg-Strelitz at the Queen's residence of Buckingham House and like so many of her siblings, she was christened at St James's Palace. Presided over by the Archbishop of Canterbury, Frederick Cornwallis, the event was attended by many illustrious names from European nobility. 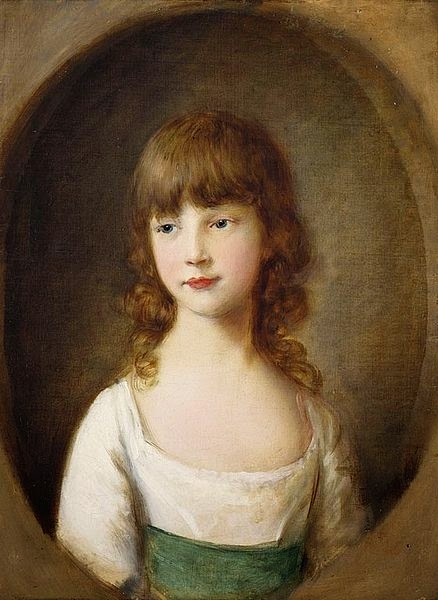 The young princess was known for her wit, impeccable behaviour and beauty and it was soon considered that she would make somebody a fine royal bride. 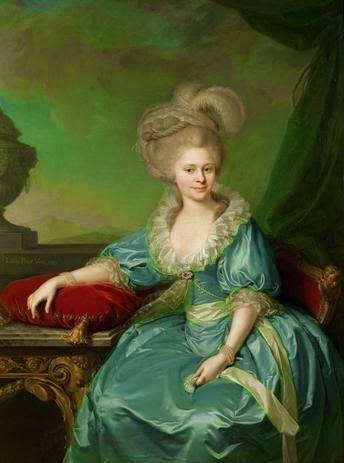 At her 1792 debut she charmed the court and at the age of 20, had a fateful meeting with Prince Frederick of Orange, who was exiled to London with his family. The young couple fell in love with one another yet their desire to marry would be unfulfilled. 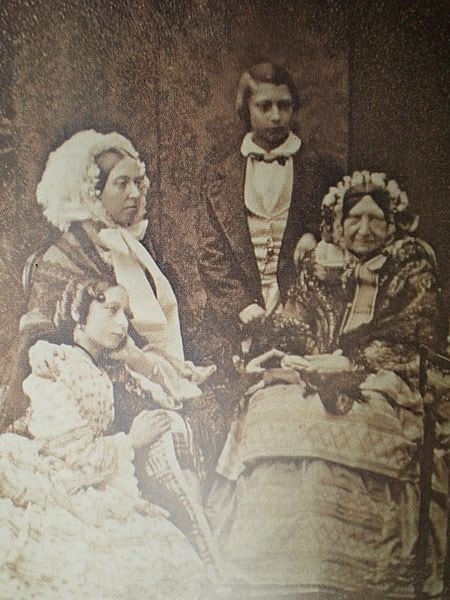 When he learnt of his daughter's attachment to the prince, George III decided that any such union must be postponed in favour of marrying Mary's three elder sisters off first. It was to prove a fateful decision as the young prince died in 1799 whilst on military service in Italy. Princess Mary was utterly devastated by the loss of her beloved and in recognition of their bond, she was permitted to go into official mourning. 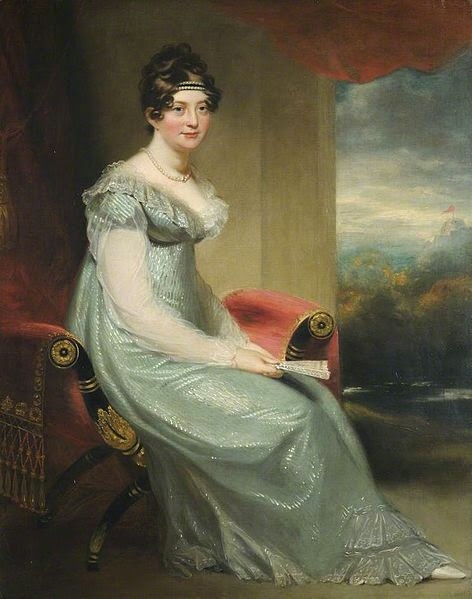 Members of her family, particularly Princess Amelia, were Mary's strongest allies during this unhappy time and presently she emerged from mourning, though there was to be no more talk of marriage for some years. In 1810 Mary suffered another devastating loss when her closest sibling, Amelia, died. Like the rest of her family she felt the loss deeply and the death greatly affected Mary. 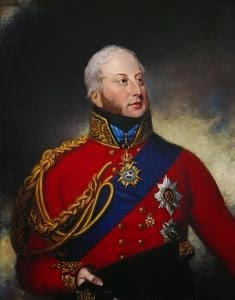 However, a perhaps unexpected turn of events was set in place when Mary's first cousin, Prince William Frederick, Duke of Gloucester and Edinburgh, learnt that Princess Charlotte of Wales was to marry. Despite rumours of whirlwind passionate liaisons with continental ladies, William had not married, having been viewed as a possible match for Charlotte. Now though, Charlotte had been betrothed to another and the 40 year old Duke was left without a bride; it was swiftly decided that Mary, his equal in age and superior in status, would be the ideal candidate. The cousins were married on 22nd July 1816 at St James's Palace and took up residence in Bagshot Park. Here they passed many happy and devoted years together; though their marriage was childless, they were respected and loved by their families and Mary would remain a firm favourite into her old age. Mary finally left Bagshot on the occasion of her husband's death in 1834, when she moved to White Lodge in Richmond Park. Here she remained for the rest of her life, as faithful and close to her family as ever she had been. We Georgians were fascinated by the heavens above and the era spawned a host of celebrated astronomers, some of whom we have previously welcomed to the salon. Our guest today is John Thomas Romney Robinson, who came from an artistic background to a career in science and astronomy and eventually gave his name to a crater on the Moon. 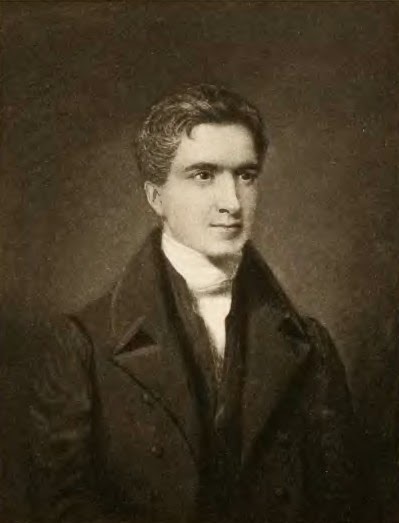 Robinson was born the son of artist Thomas Robinson and his wife, Ruth Buck, but his interests were squarely in the scientific and after completing his schooling at Belfast Academy, he moved on to study at Trinity College in Dublin. 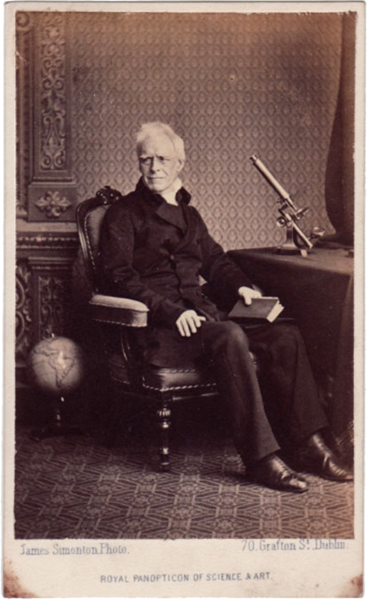 Like so many of the previous scientists we have met, Robinson was ordained as a priest during his studies yet it was in his scientific studies that he really excelled and in 1814 accepted a fellowship of the College, where he went on to teach natural philosophy. He married Elizabeth Rambaut in 1821 and following her death 18 years later would marry again, this time to Lucy Jane Edgeworth. 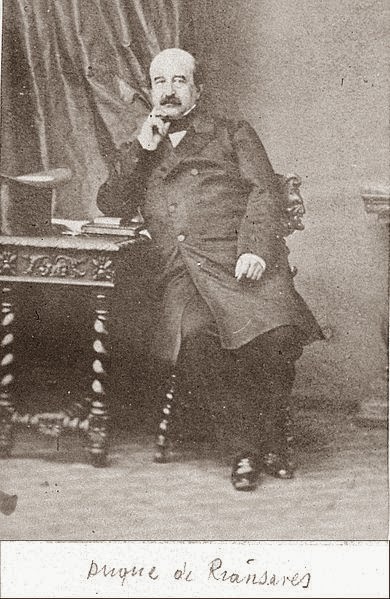 Robinson complemented his professorial role by serving as an Anglican priest, though he gave up both his ministry and professorship to take up a position at the Armagh Observatory, where he would remain until his death. Throughout his career Robinson strove to be at the forefront of astronomy, producing groundbreaking research on starscapes and galaxies. His research was widely celebrated and he received many decorations from contemporaries, eventually dying at the age of 89 whilst working at the Armagh Observatory. 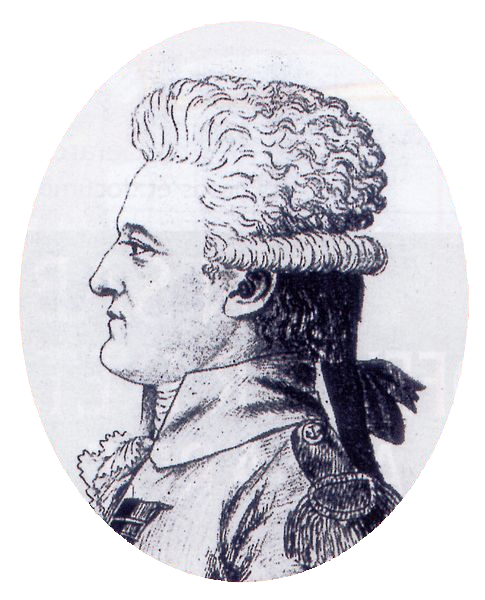 On this day in 1806, a man lay dead in the Hôtel de la Patrie in Rennes. He had suffered seven stab wounds, six that perforated his left lung and one that punctured his heart. The tragedy was one that sparked interest across Europe because the man who met his end in such violent circumstances was Vice Admiral Pierre-Charles Villeneuve, French commander at the Battle of Trafalgar. Villeneuve's reputation had not fared well in the aftermath of the famed battle. Delays of his own making had seen his fleet sit at Cádiz in direct contradiction of orders from his superiors to engage the British. When the fleet under Villeneuve's command finally set sail his earlier delay resulted in his being intercepted off Cape Trafalgar. The engagement that followed has become legendary and Villeneuve was captured in the aftermath of the battle and taken to England. Upon his release, Villeneuve returned to France and here made a request to return to naval service. It was while he was waiting to hear the response to this request that Villeneuve died in his lonely hotel room, and chatter immediately began as to who might have been behind the apparent attack. The dead man was laid to rest after dark and without honours, his name one that the French government and military preferred not to celebrate. To the amusement of the British press and public, the seven stab wounds were ruled to be self-inflicted and the inquest was neatly closed. 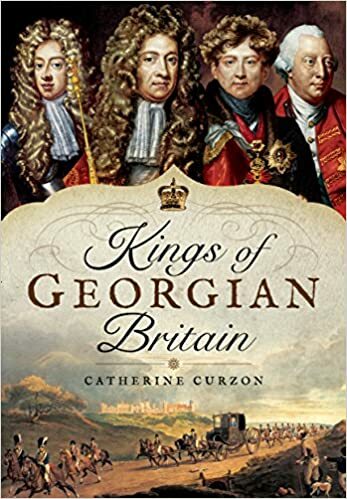 In England though, whispers grew in volume that Napoleon had arranged for his former commander to be murdered in revenge for the debacle of Trafalgar. Though it may seem unlikely that more than half a dozen stab wounds were self-inflicted, we have certainly seen stranger suicides here at the Guide. 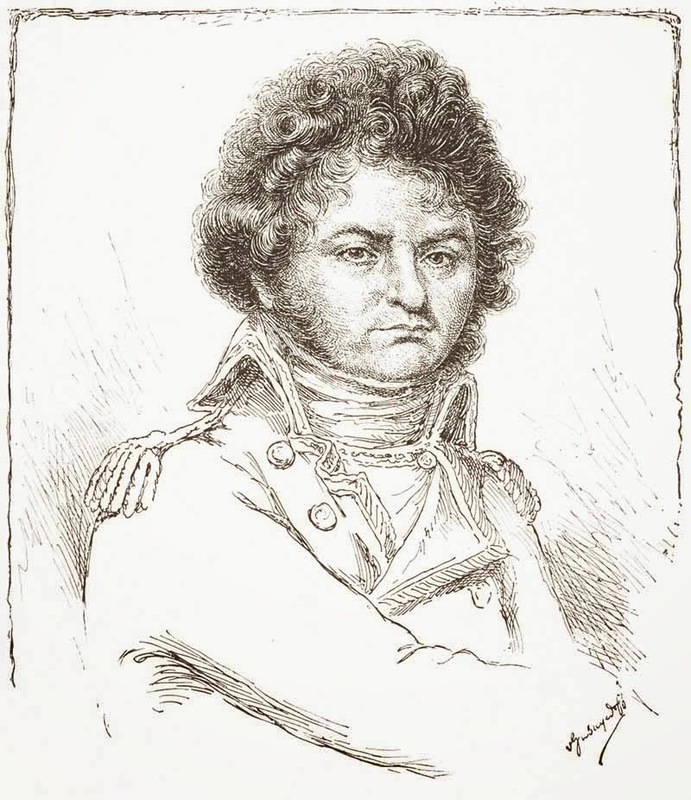 Villeneuve felt strongly the weight of Trafalgar and Napoleon's displeasure and perhaps the official silence that met his pleas for a return to service were enough to drive him to suicide, though whether a man could pierce his own vital organs quite so comprehensively without being weakened by shock and blood loss seems like something of a stretch. The truth will never be told, of course, and it remains a sad end to a sometimes checkered career. Our guest today is, perhaps, a lesser known member of European nobility. Despite a long-planned and illustrious political marriage, Elisabeth was fated to live a short life. 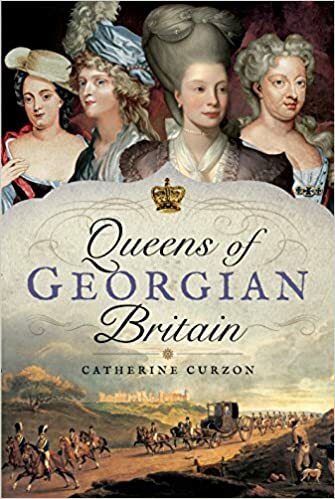 Although she was to become a favourite of an ailing Emperor and married an Emperor-in-waiting, her ill health ensured that she was never to see her own husband assume the throne of the Holy Roman Empire. 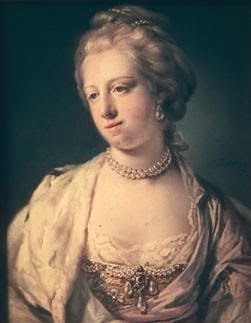 Elisabeth was one of a dozen offspring born to Frederick II Eugene, Duke of Württemberg, and his wife, Sophia Dorothea of Brandenburg-Schwedt. Like so many children of her class, it was intended from the start that she would make an expedient political marriage and negotiations swiftly began to secure her a fiancé. The groom-to-be was eventually named as Francis, nephew of Holy Roman Emperor Joseph II and the man who would one day hold that title himself. When Elisabeth was 15 she travelled from Brandenburg to Vienna and took up resident with the sisters of the Salesianerinnenkloster. In her new home she converted to Catholicism in preparation for her marriage and completed her education. Here she remained until 1788 when, on 6th January, she married the twenty year old Francis. 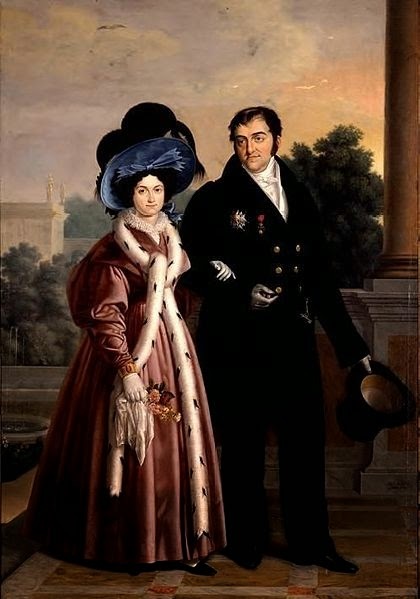 As the couple settled into life together the new Archduchess swiftly became a favourite of her new husband's uncle, Emperor Joseph II, who had brokered the marriage to his nephew. He found her charming and refreshing company and she came to view Joseph in a grandfatherly light, spending long hours in his company. 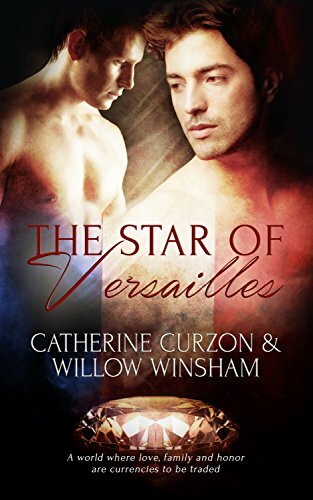 Her affection was of great comfort to the Emperor; his health was falling and he had faced a series of high profile political failures that left him disillusioned and unhappy. In late 1789 Elisabeth fell pregnant and her condition was to have a huge impact on her health. 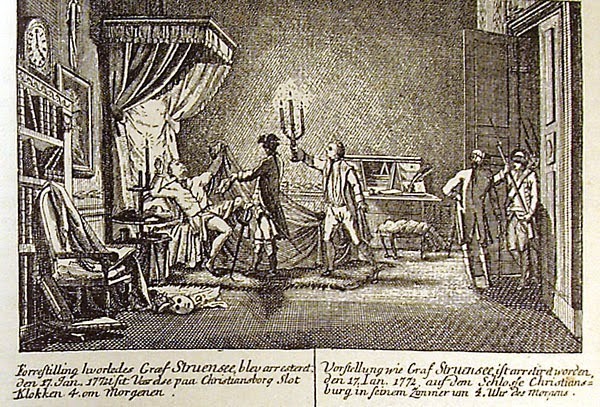 The cheerful, charming young lady grew weaker by the day and after she attended the Emperor's Anointing of the Sick on 15th February 1790, Elisabeth passed out and was rushed to her chambers. 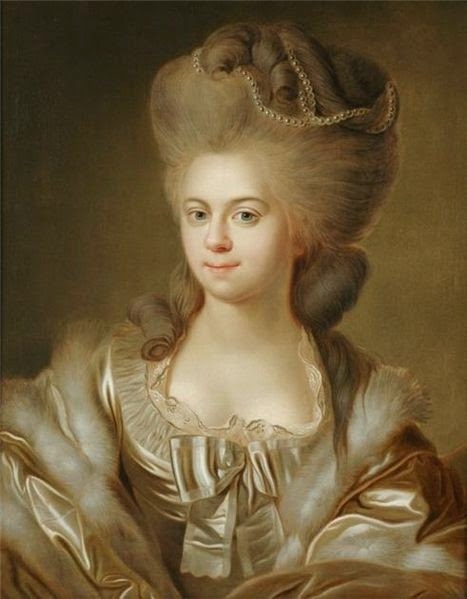 Two days later she went into labour and suffered for a day and night before she gave birth to the extremely premature Archduchess Ludovika Elisabeth on 18th February. Although the little girl would survive for 16 months, Elisabeth passed away within hours of delivering her daughter and just two days later, her beloved uncle-in-law also lay dead. The ill-fated Archduchess was interred in the Imperial Crypt in Vienna; her infant daughter and the deceased Emperor were laid to rest in the same crypt. It is a pleasure to welcome a guest to the salon today with his tale of the Siege of Louisbourg. CW Lovatt knows more than a thing or two about this decisive incident and it forms the backdrop of his novel, Josiah Stubb. Without further ado, I shall leave you in the hands of our estimable host for the day! Louisbourg was a fortress town on the northeastern coast of Cape Breton Island (or ‘Ile Royale’ as it was known by the French) in the eighteenth century. With its own excellent harbour, capable of holding an entire fleet of men-of-war, it served to protect French interests in the vital cod industry, as well as the gateway to the St. Lawrence River, and the heart of New France at Quebec. Built at a cost of over thirty million livres, it was deemed to be impregnable. 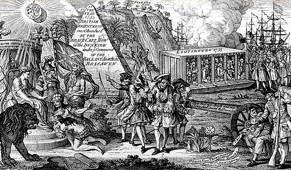 The following deals with the siege of 1758, during The Seven Years War, which is the time that my novel, “Josiah Stubb,” takes place. I’ll try to keep it brief. Two very important factors that lead to the death of Louisbourg happened many months before the invasion armada was ever seen from its ramparts. The first was the coming to power of William Pitt, whose global strategy was to offer only a token force on the European continent, along with subsidies to finance the armies of Britain’s allies, while using the bulk of her own army and navy to wage war on the colonies of her ancient enemy, bringing her economy to ruin, and ultimately forcing her to sue for peace. The second factor made the first all the more viable – the Royal Navy’s victory at the Battle of Cartagena, leading to the remainder of the French navy being bottled up in their harbours. 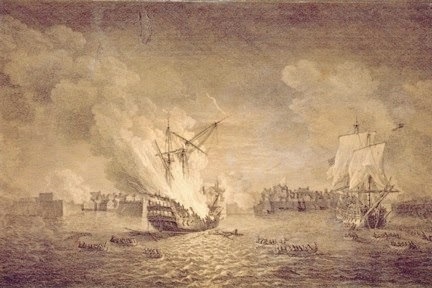 A previous attempt had been made on Louisbourg in 1757, but the presence of a sizeable enemy fleet, and an untimely hurricane, assured its failure. This time, with the French unable to venture out from their ports, there would be no major naval force in attendance, and very little in the way of reinforcements. New France was on its own. Another important contributing factor that I forgot to mention earlier, is Pitt’s habit of promoting officers based on competence and their willingness to fight, while throwing the older custom of patronage and seniority in the dustbin. Thus it is that James Wolfe, a shiny new brigadier, makes his appearance on the stage. A British armada of forty warships, and a hundred and fifty transports, arrived off the coast of Ile Royale in early June, 1758. In the holds were 14,000 regular line troops, along with a few companies of Rangers, formed from the southern colonies. Wild and relatively undisciplined, the Rangers were new. Considered Light Infantry, each man was picked for his marksmanship and knowledge in bush-fighting. 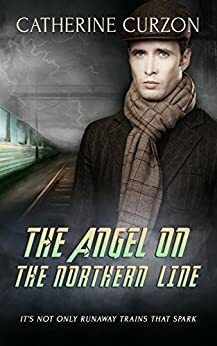 Their roll would be to take on the Indians and Canadians, who had caused so much havoc with Braddock at the Monongahela River three years earlier. In the oncoming weeks, they would prove to be very effective. After waiting several days for the waters to calm sufficiently, the British attempted a landing on the eighth of June, about five miles below the fortress, on the Gabarus Bay littoral. The windswept shores of Cape Breton are rocky and inhospitable at the best of times, with possible landing sites few and far between, so the options of the naval officers had dwindled to the meager four hundred yards of beach at Fresh Water Cove. Of course the French were well aware of this, and had troops and artillery in abundance, well dug in, to oppose any attempt at a landing. The French held their fire until the leading wave of boats were within pistol-shot. Then they let loose with a barrage so savage that the British were stunned, helpless on the water, sitting ducks for following salvos. What followed was pure luck. In an effort to avoid the withering fire, three boats of the 35th regiment veered off course until they had rounded a small headland on the extreme right of the cove, scarcely noticeable, but just enough of a promontory to put them beyond the line of fire. Here they were also beyond the gentle sand of the beach, and as they were unable to land, seemed out of the fight. However, a closer inspection of the shore revealed clefts in the rock just wide enough to allow one or two boats to close at a time, and this they were allowed to do, out of sight and unhindered. So landed the first few dozen; most taking cover in a small copse of trees, while others frantically signaled for the rest of the boats to follow. This happened piecemeal, for Wolfe, commanding the attack, and unaware that any of his men had reached the shore, had ordered a retreat. But of course this order was rescinded when more and more realized the good fortune of their comrades. Gradually, very gradually, this precarious toehold was reinforced as more and more boats came in. Soon the landing was packed, each boat impatiently awaiting their turn to disembark. Feeling the sense of urgency, some did not wait to reach the cleft, but jumped overboard and attempted to wade to the shore. Some made it, many were drowned in the heavy seas. Other boats, venturing too close, were picked up by the waves and smashed against the rocks, their occupants sent tumbling senseless into the water. In fact, it was at this point that the British suffered their greatest casualties of the entire battle, and not to the murderous salvos of the enemy. Eventually perceiving this new threat, the French attempted to contain it with a small detachment of irregulars. Had they mounted a more determined effort, they would undoubtedly have forced the British back into the sea with very little trouble, but instead, unsure of the numbers they faced, they were content to exchange musket fire until reinforcements became available, but that moment never arrived. It was the British who gradually gained superiority in numbers, and when Wolfe was finally able to land, they advanced, sweeping away the irregulars, and continuing without pause, rolled the enemy from their entrenchments when they found themselves being attacked from the rear. The advance continued without pause, chasing the French all the way back to the fortress. The victory had been so complete, and the French retreat so precipitate, that their cannon were captured before they could be spiked, and most of their provisions still in the trenches. This was fortunate for the British, as the seas grew rough again the next day, and continued so for several days thereafter, making it impossible to land their own supplies. Once having affected a landing, the odds of a British victory increased immensely, although it was still far from a foregone conclusion. Louisbourg, her walls bristling with defenders, and her harbour with a squadron of men-of-war, still remained defiant, and not without reason. If the siege could be drawn out until the onset of winter, the British would have little choice but to withdraw. Therefore time was of the utmost importance. Within days of the victory at Fresh Water Cove, and with the seas still too rough to allow the landing of either provisions or siege guns, on the twelfth of June the Commander in Chief, General Amherst, ordered Wolfe to circumnavigate the harbour with twelve hundred picked men, and seize the high ground at Lighthouse Point, across the harbour’s mouth. The route took the British to well within the range of the fortress’ guns, but owing to heavy fog, the position was taken without suffering any casualties. The redcoats arrived only to find that the French had abandoned it, and tumbled their heavy guns off the cliffs into the sea. Five days later, the weather grew calm, and the British preparations continued much more rapidly. On the nineteenth of June, a battery of five guns was in place, and began to engage the Island Battery guarding the mouth of the harbour, and the five French men-of-war inside. Meanwhile, more and more cannon and provisions continued to land, and while the senior brigadiers, Lawrence and Whitmore, began the arduous process of approaching the walls via parallels dug into the boggy, rock-ridden ground for the main attack, Wolfe raced with impetuous speed, installing more and more batteries around the periphery of the harbour, drawing ever closer to the fortress. The Island Battery was silenced on the twenty-fifth of June, and the French men-of-war, fearful of the British heated shot, retreated so close to the fortress walls that they were left aground at low tide. As more and more guns became available, Wolfe continued his advance until he reached the abandoned Royal Battery, midway to the fortress. On the first of July the French attempted a sortie to destroy this position, but were driven back, and even more high ground was taken to the northeast. A further battery was duly installed here, and commenced fire on July fifth, soon causing considerable damage to the walls and the town. On the ninth of July the French sent a night sortie of over seven hundred men against the parallel being dug for the main attack under Lawrence and Whitmore, capturing men and entrenching tools. They were driven back with loss during the confusing melee that followed. However, this foray was a waste of both time and lives, as this ‘main attack’ was never brought to fruition. By now Wolfe had completed a line of batteries on the heights, from the Royal Battery to the Barachois Inlet, opposite the Dauphin Bastion, the northernmost bastion of the fortress. Then, on the sixteenth of July, in a move that best displays his sheer audacity more than any other single act, Wolfe leads a night attack to capture Gallows Hill, a mere three hundred meters from the Dauphin Bastion! The French respond with a furious barrage, but morning finds the British in strength on the hill, already dug in. Now Amherst is forced to change his strategy. The main attack, favoured by his chief engineer, as well as his most senior generals, is largely abandoned without yet having fired a shot in anger. This new position on Gallows Hill is reinforced with men and another battery, and a new parallel is begun. By the twenty-first of July it has reached to within two hundred meters of the fortress. Also on that day, a red-hot shot from the battery at Lighthouse Point strikes the French warship, Célébre, setting her ablaze. The French men-of-war are so crowded together under the fortress’ walls that soon the fire spreads to the Capricieux and L’Entreprenant. At 2:00 A.M. L’Entreprenant explodes. By morning the other two ships have burned to the waterline, leaving the French with only two ships to defend the harbour from the eighteen hundred guns of the British fleet. By the twenty-fourth of July, after enduring almost a month of a merciless barrage, a breach in the fortress wall is close to being practicable. By now the French can reply with only four guns of their own. The coupe de gras comes on the night of the twenty-fifth, when, with the army staging a feint to the north, the navy sends, not their ships of the line, but sixty small boats, carrying six hundred men, into the harbour to attack the remaining two French men-of-war, now manned only with skeleton crews. The Prudent is burned, and the Bienfaisant captured, leaving the harbour defenceless. On July twenty-sixth a flag of truce is seen hoisted over what is left of the Dauphin Bastion. The French accept the British demand of unconditional surrender later that same day. Josiah Stubb: The Siege of Louisbourg is available to buy now from Amazon UK, and on Amazon US in paperback and on Kindle.